Using the job board as a job seeker is completely free. No need to register – just search, browse, and apply. Good luck! Job will be listed publicly on the board for 45 days. Applicants can find it by browsing, searching, or filtering. Job will be listed in the top section of the job board for 45 days. Applicants can find it by browsing, searching, or filtering. 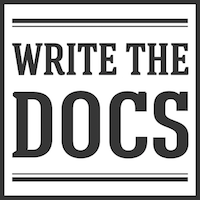 We will also feature it in one issue of the Write the Docs newsletter (5,000 subscribers) as a promoted job.